Framing is an art. We keep that in mind when we offer unique custom framing with unlimited options. With our selection of distinct materials and knowledgeable staff, we create one-of-a-kind frames. Our attention to detail is our greatest asset combined with the talent of our on-staff designers. Each time you visit Rider Frames and Gallery you will work with a designer with expertise in the latest trends in custom picture framing. In addition, all production takes place in our facility ensuring the safety of your valuables and memorabilia. We’ve framed many unusual pieces over our 35+ years of business. This experience establishes us as an innovator in our industry. We look forward to working with you on your next custom framing project! From choosing the frame to choosing the designs, our process is thorough. It's designed to make sure you get exactly what you're looking for in your framing solution. Our process varies from subject to subject, but we'll summarize a general view of it. We begin with guiding in the selection of frame molding. There are over 300+ samples of molding on site to choose from. This involves finding the best color and style of molding, for example: modern, traditional or rustic. We establish how many mattes will look best, the color of the mattes, linen versus paper, and how many cut-outs are necessary. We make additional design recommendations and suggestions. We offer several different types of glass to protect artwork from damaging ultraviolet rays while showcasing the piece. Depending on where your piece will hang, we make recommendations on the amount of UV Protection you will need in addition to whether or not you will need anti-glare glass. If weight is a consideration we recommend our ultra clear plexiglass. See our Glass Section in Framing for a list of products and more information. 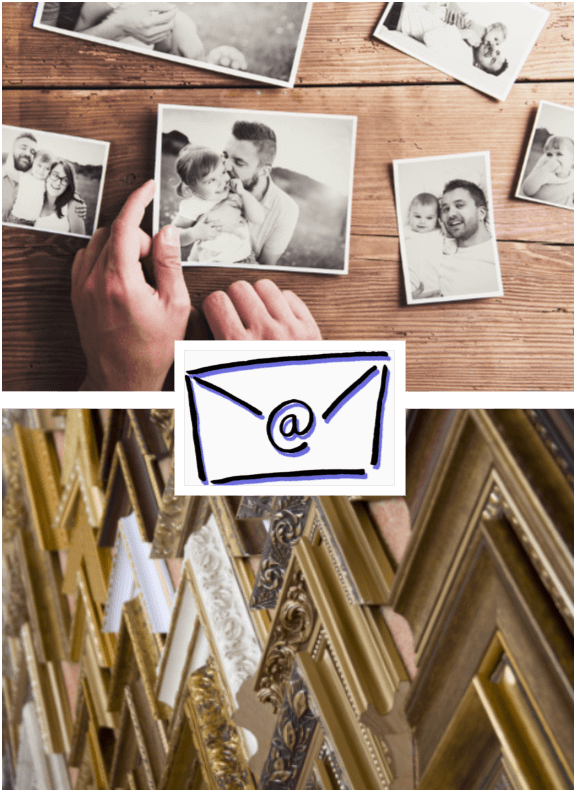 Custom Framing - Make an Appointment Online! Need an appointment on evening or weekend hours? Schedule an appointment online to meet with one of our designers at a time that's convenient for you, and get help choosing from our selection of more than 450 mouldings! We’re here to help you get your memories and art framed. Our experts are ready to be of service. Expect nothing but the best from us.